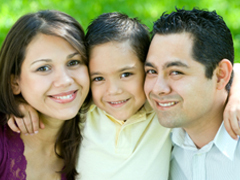 The office of Dr. Todd C. Stoner provides complete dentistry services for both you and your family. Located in Gardendale, AL, Dr. Stoner provides gentle dental care that is essential for the health and beauty of your teeth. Dr. Todd C. Stoner is an experienced member of the dental community, with many professional memberships such as the American Dental Association. His dedicated staff is extremely knowledgeable, helping you and your family to better understand the care that he provides, why it is important for your health, and how your mouth will be healthier in the future. Contact the office of Dr. Todd C. Stoner today to have a brighter, healthier smile!